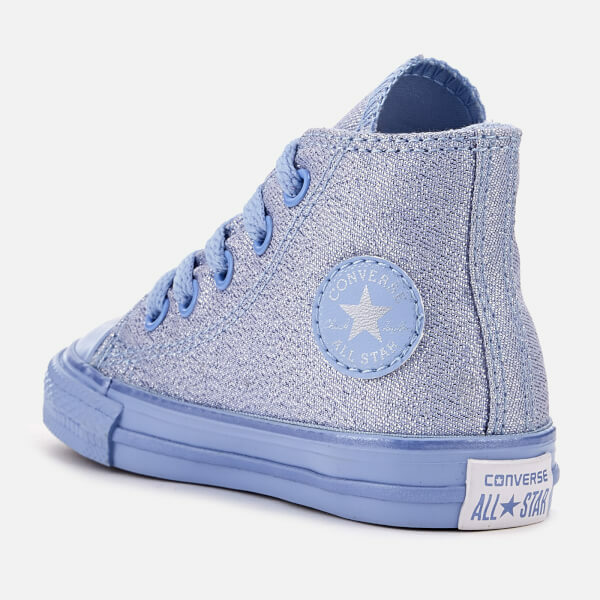 Toddlers’ ‘Chuck Taylor All Star’ hi-top trainers from Converse. 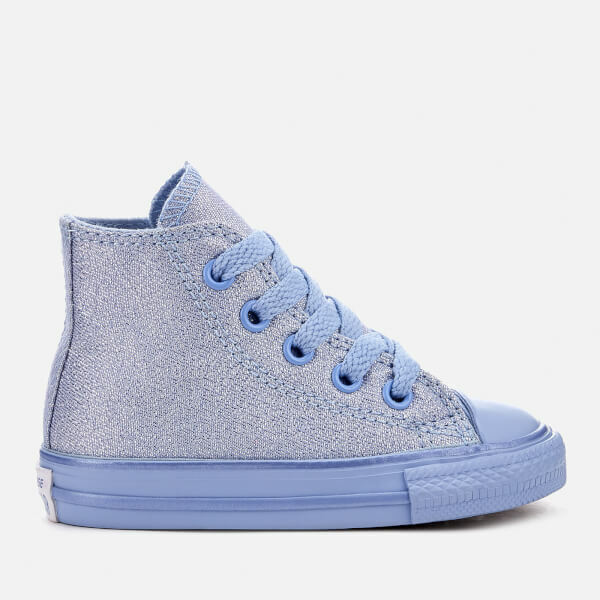 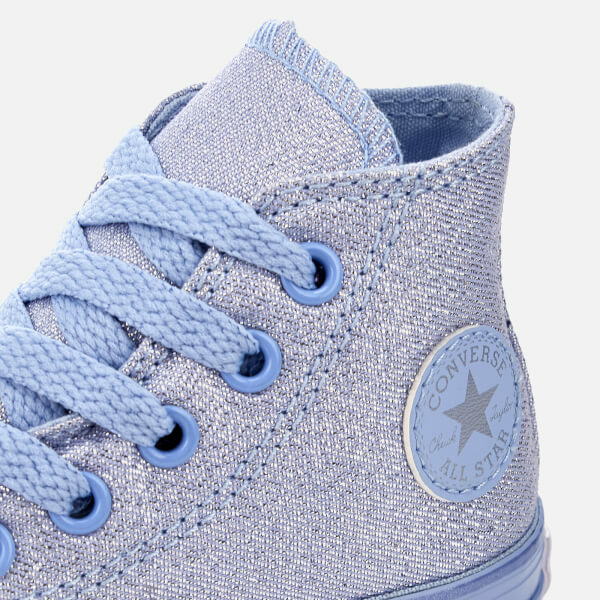 Crafted with durable canvas run through with metallic silver thread, the blue sneakers feature a lace-up fastening, rubber toe cap and signature star logo patch to the inside foot. 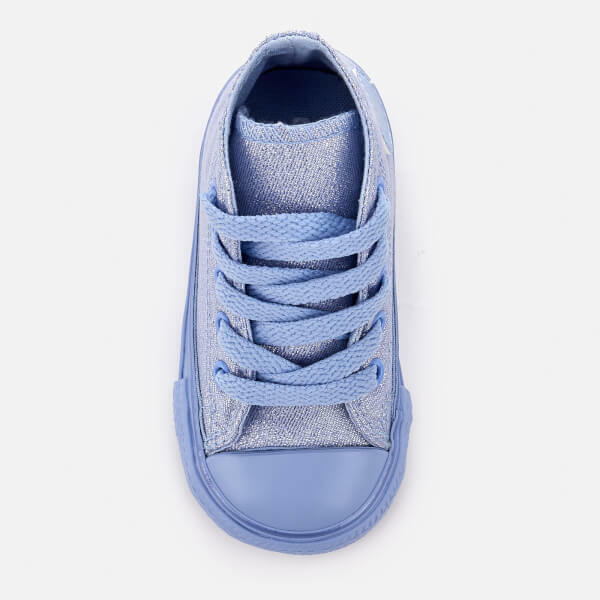 The shoes are set upon a tonal rubber sole for maximum support and stability.